The Red Hots hold a barbecue. 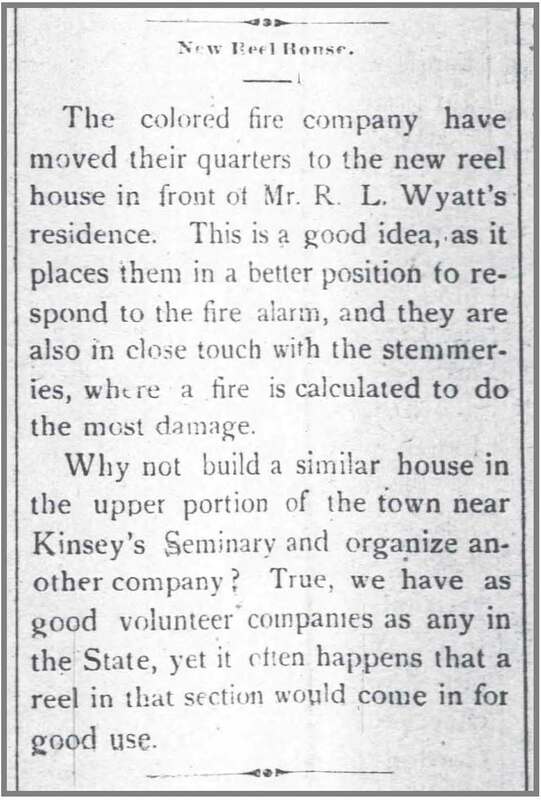 Wilson Daily Times, 8 February 1929. 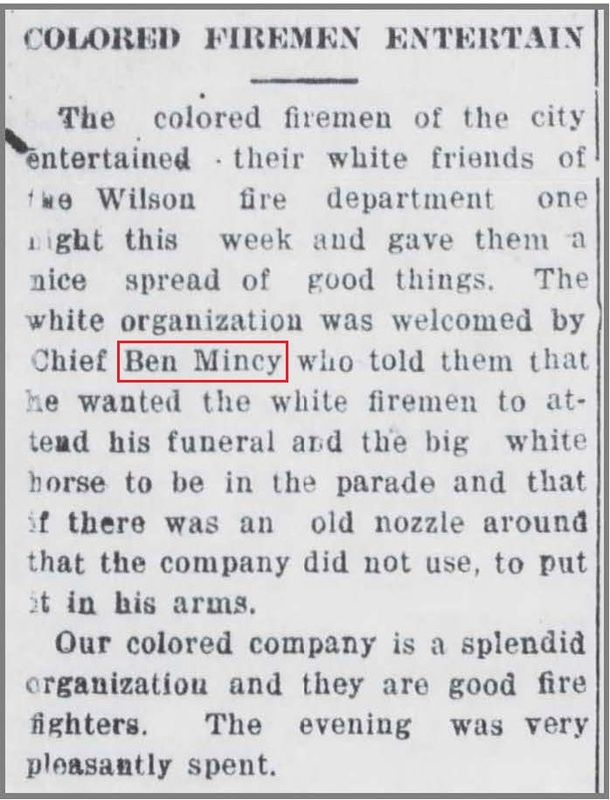 Ben Mincey and the Red Hot Hose Company hosted a barbecue for hundreds of (white) Wilson firemen, policemen, city officials and employees, and businessmen. 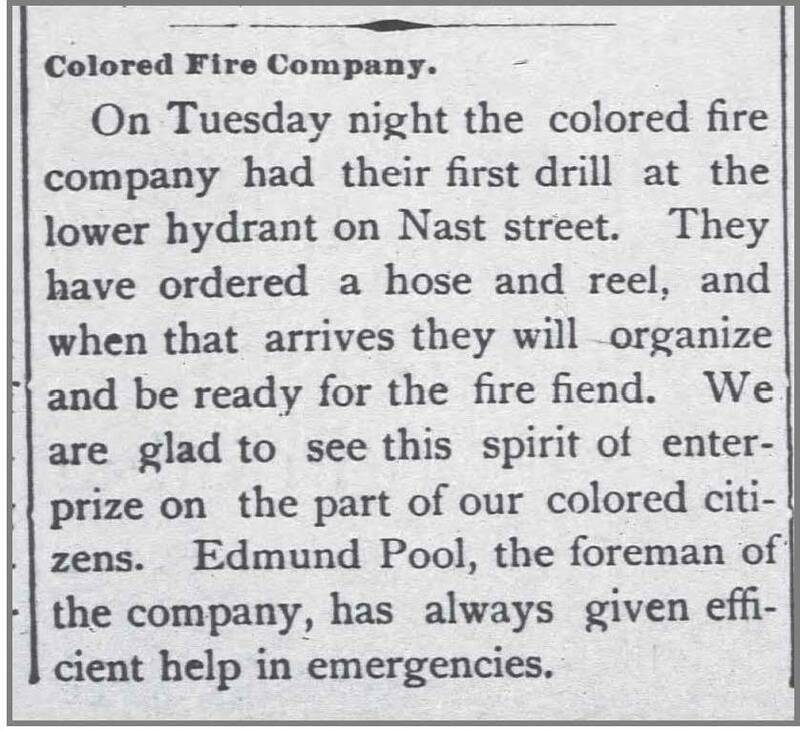 The Red Hot Hose Company. 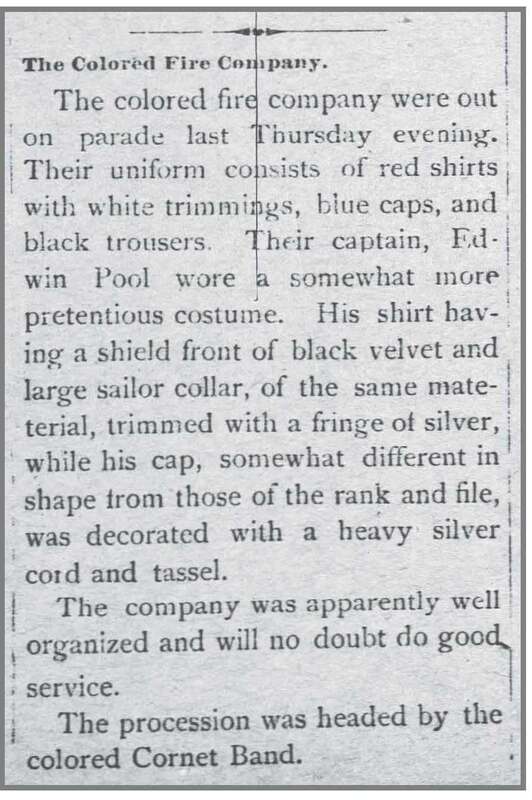 Wilson Mirror, 30 November 1887. Wilson Advance, 1 December 1887. Wilson Advance, 14 September 1893. 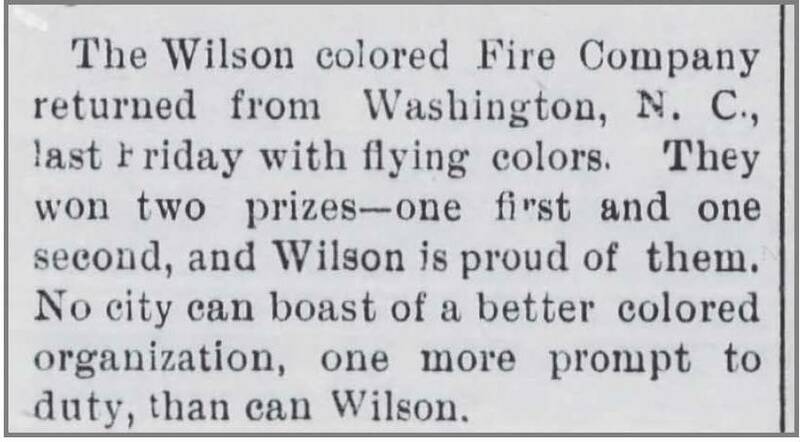 Wilson Advance, 22 February 1894. Wilson Advance, 10 May 1894. 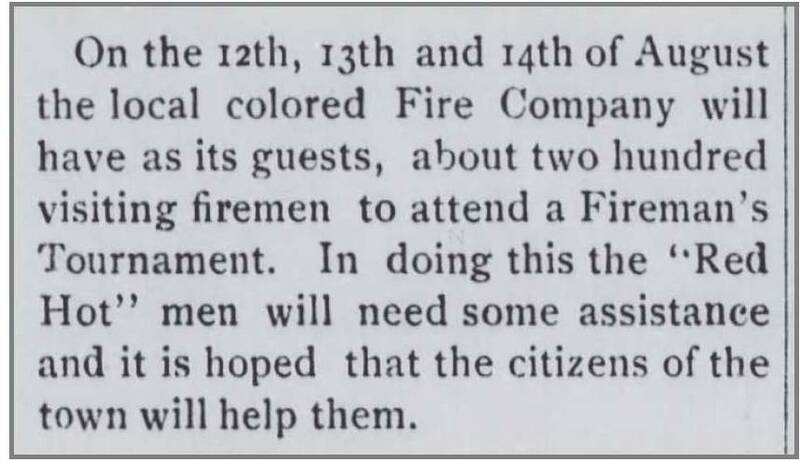 Wilson Advance, 11 April 1895. 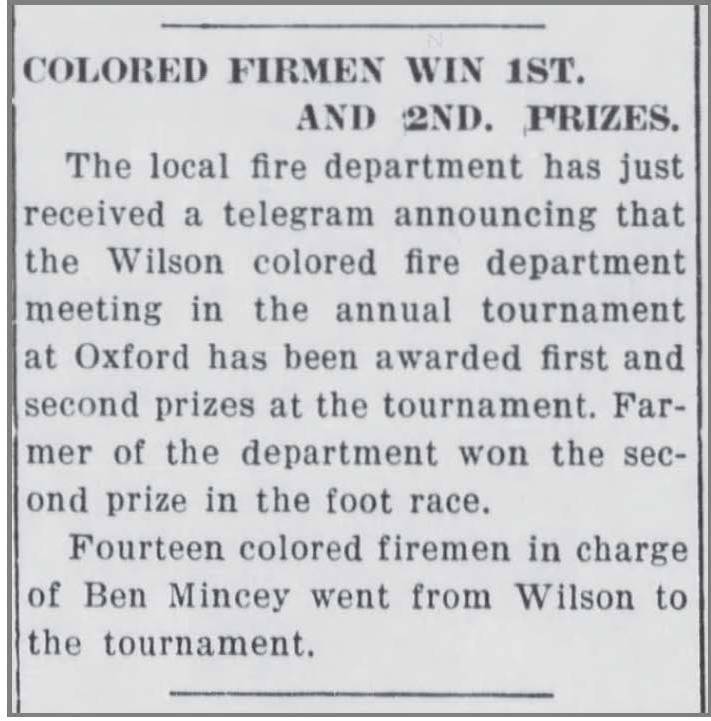 Wilson Daily Times, 31 July 1896. Wilson Advance, 13 August 1896. 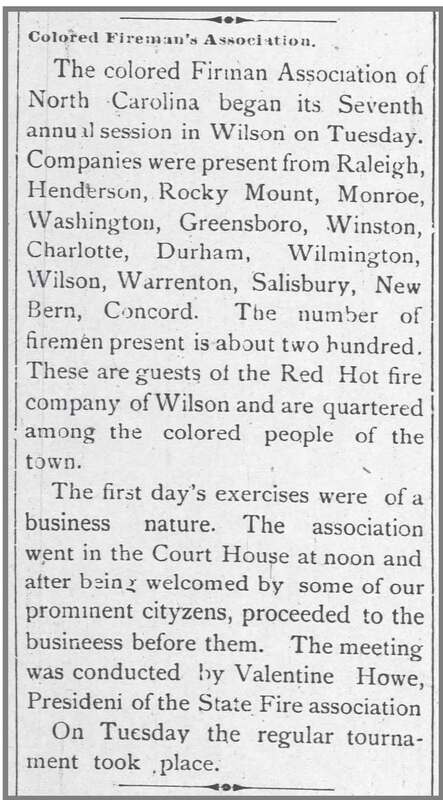 Wilson Advance, 19 January 1899. 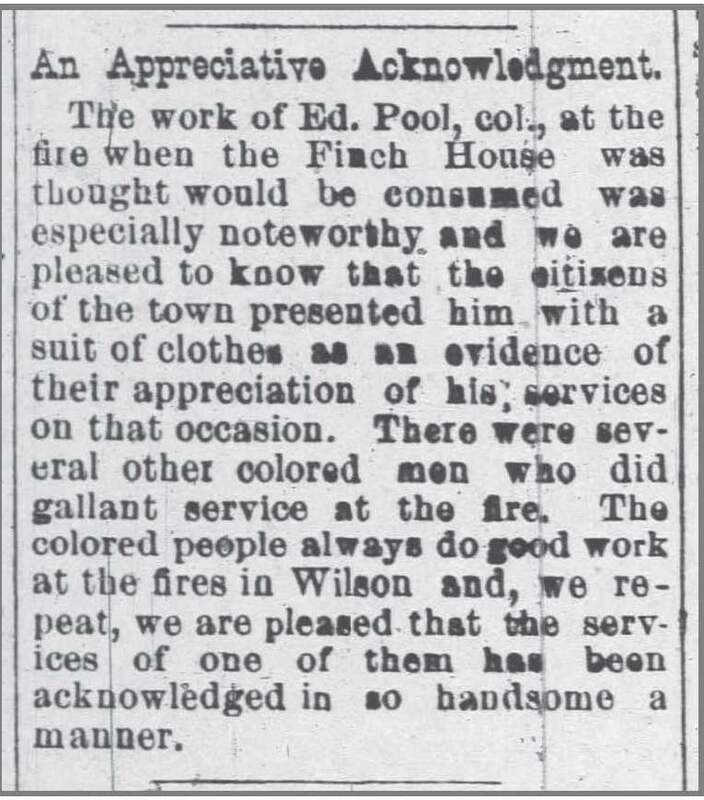 Wilson Daily Times, 18 August 1899. 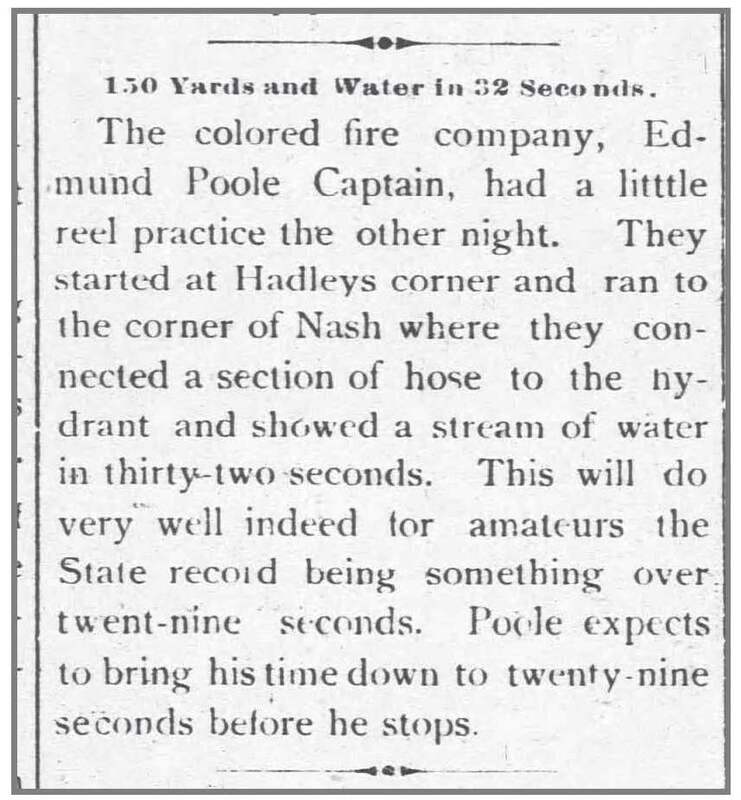 The North Carolinian (Raleigh NC), 28 August 1902. 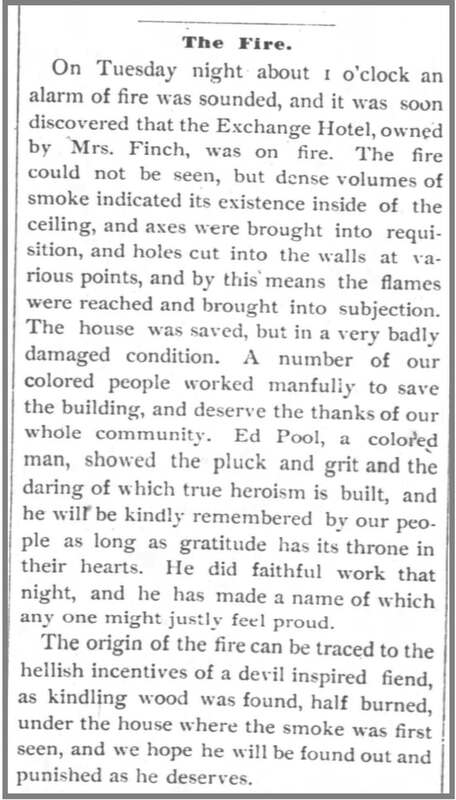 Wilson Daily Times, 7 March 1911. 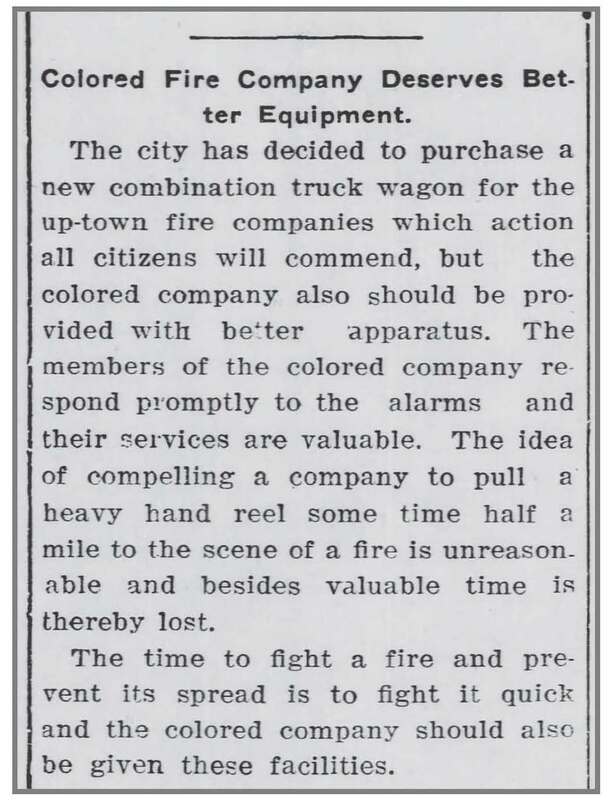 Wilson Daily Times, 10 December 1918. 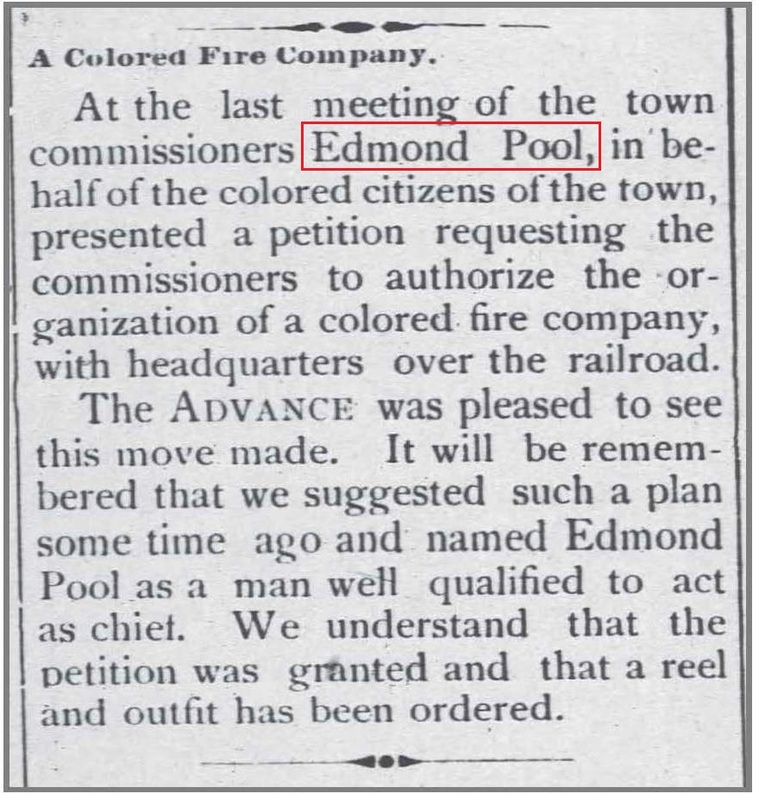 Wilson Daily Times, 19 August 1921. Edmund Poole (1846-?) was living in Wilson by 1882, when he married Adeline Gay. He worked as a teamster. Greene County native Benjamin Thomas Mincey (1879-1950) was the son of Prince and Mattie Barnes Mincey. The family moved to Wilson when Ben was young, and he married Mattie Barnes there in 1904. When not fighting fires, he worked as a laborer for the city.